Offering you a complete choice of products which include dipson submersible gunmetal bush, metal bronze bushing, bronze bushing, sintered bronze bushing, bushing and sleeve bushes. 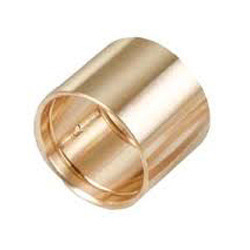 We have been engaged in the manufacture and supply of MetalBronze Bushing. 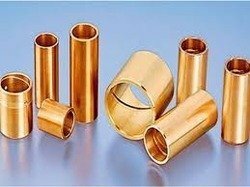 The offered bushing is made from the hard alloy of copper. Our offered bushing is made to provide a hard bearing surface for the rotors. 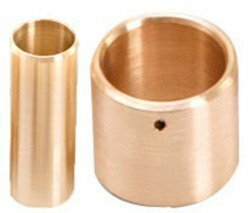 The offered bronze bushing is made from high grade copper, tin and zinc for extra hardness and long lasting. 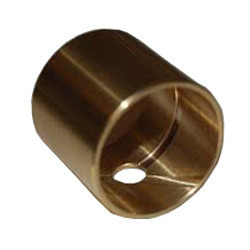 Our offered bronze bushing is available in very affordable and competitive market price. 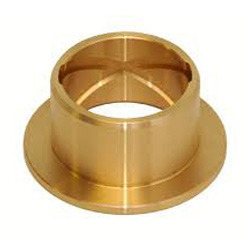 Our firm is dealing in the manufacturing and supplying of Bronze Bushing. The offered bronze bushing is known for exceptional hardness, required to hold the rotor pressure and mechanical strain. Our offered bronze bushing is made extra hard for using it as a bearing surface. The offered bronze bushing is ideal for hard and heavy rotor applications. Our offered bronze bushing is able to hold and bear heavy pressure. We are humbled to declare ourselves as the manufacturer and supplier of Sintered Bronze Bushing. 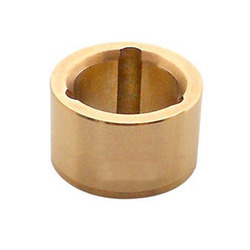 The offered bronze bushing is made from very hard and tough copper alloy. Our offered bushing is able to act as a hard bearing surface for constantly moving rotor applications. The offered bronze bushing is a great thrust bearer which is an ideal surface for rotor applications. Our offered bronze bushing is able to bear very heavy loads and stresses. 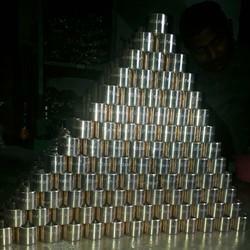 Our firm is dealing in the manufacturing and supply of Bushing. The offered cast bronze bush is an ideal bushing material which is able to withstand heavy pressures and stresses. Our offered cast bronze bush is widely relied upon, due to the mechanical stress bearing ability. The offered cast bronze bush is widely used in the rotor applications across the machine market in the country. We are one of the well known makers and suppliers of Sleeve Bushes for Chemical Industry. The offered sleeve shrubs are bronze items which give a heading surface to the rotor development. Our offered sleeve brambles have the capacity withstand the sliding movement between the moving surfaces. The offered sleeve brambles are made additional solid and intense, for the unpleasant and high erosion applications such a rotor push bearing surfaces. We are humbled to declare ourselves as the manufacturer and supplier of Thin Wall Bushing. The offered earth moving bushing is an ideal thrust bearer which is widely used in the rotor applications. Our offered earth moving bushing is very strong and sturdily made component which can serve the purpose, without much maintenance efforts. The offered bushing is very popular, owing to the high durability and reduced prices.